As I pack my bags and head off to Auckland Airport I had a slight idea of how my two days automotive hunting in Australia would play out. However, I was greatly mistaken. A few weeks before departure I asked a fellow photographer in the Gold Coast if he could find some contacts over the ditch – and what he came back with was more than outstanding. 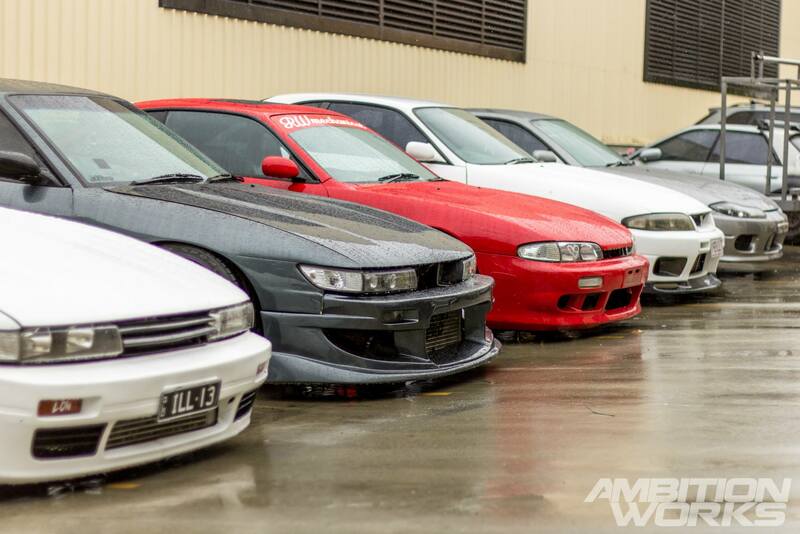 There were enough Japanese cars to last a small lifetime. 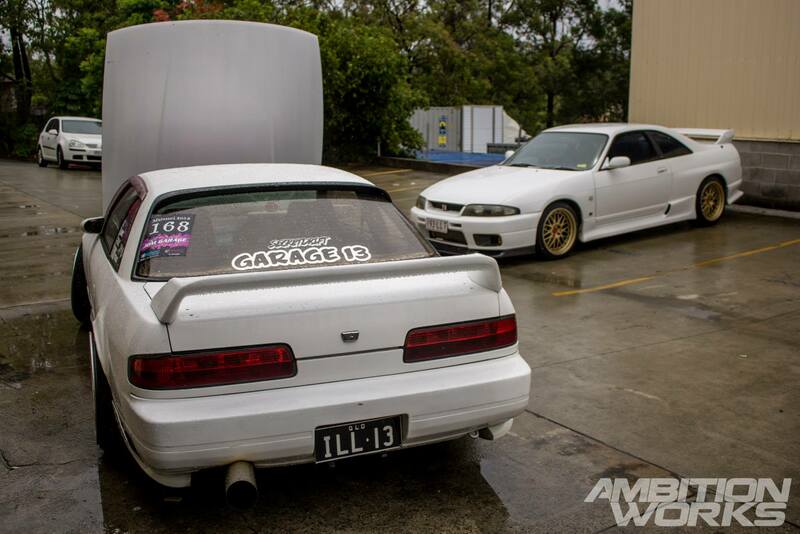 One group of cars and automotive enthusiasts in particular was known as Garage 13, located in the Gold Coast of Australia. With cars stacked up outside and in, it was like being right in the heart of Japan. The quality of the cars at Garage 13 was remarkable, you could really see the owners personality portrayed through their cars. 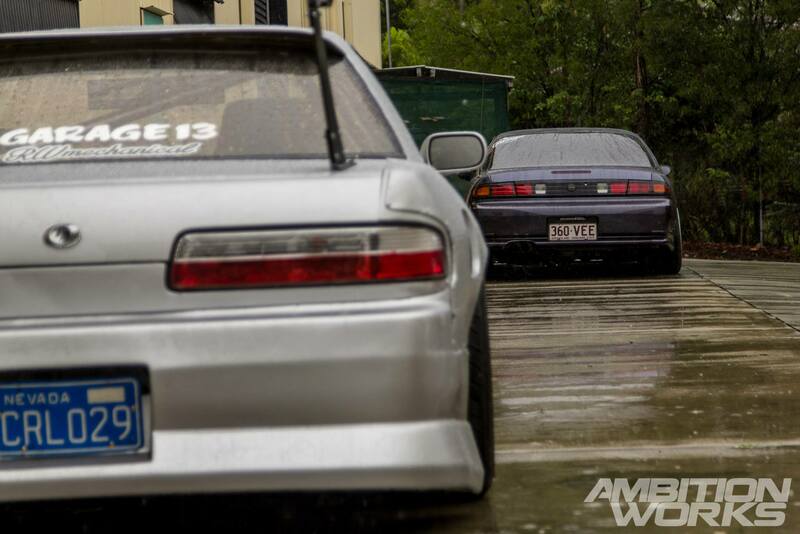 Garage 13 offer a wide range of services to the automotive enthusiast much like yourself. They sell brand new aftermarket parts and 2nd hand parts as well as providing general car servicing to custom fabrication. Upon arrival I could already tell this trip was worth it. Present was one of the two Odyvias currently in Australia. 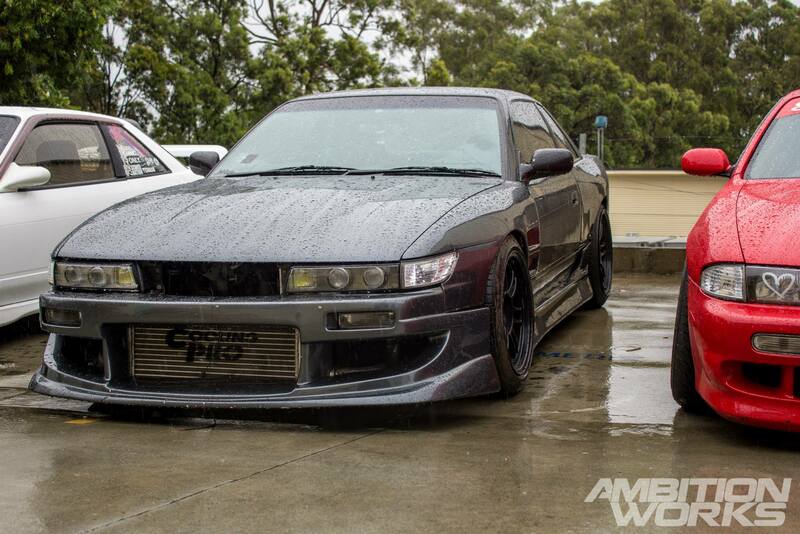 Only waiting on the front bumper to finish the conversion, this Silvia owned by Beau is a real eye grabber. 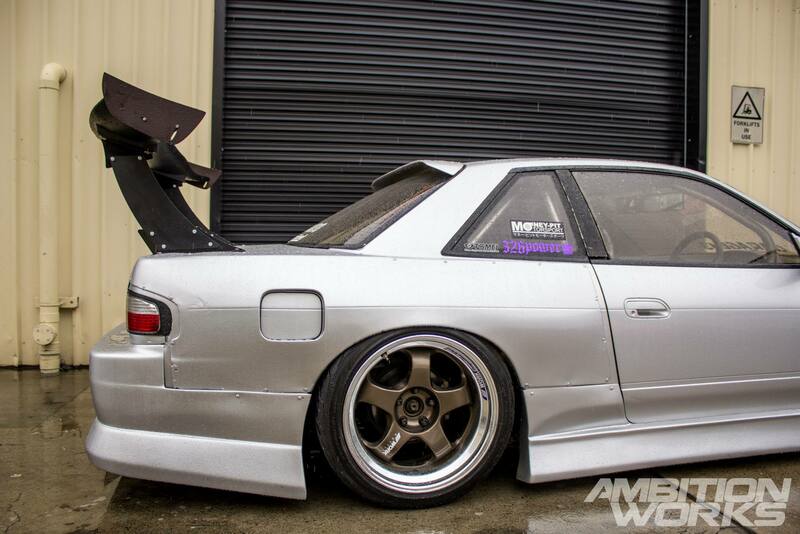 With the wide body front and rear guards, plus rocking a massive wing, does it not grab your attention straight away? Currently sitting on Work Meisters all round with Silkroad coilovers and Cusco adjustable arms the wheels tuck nicely under the extended guards. 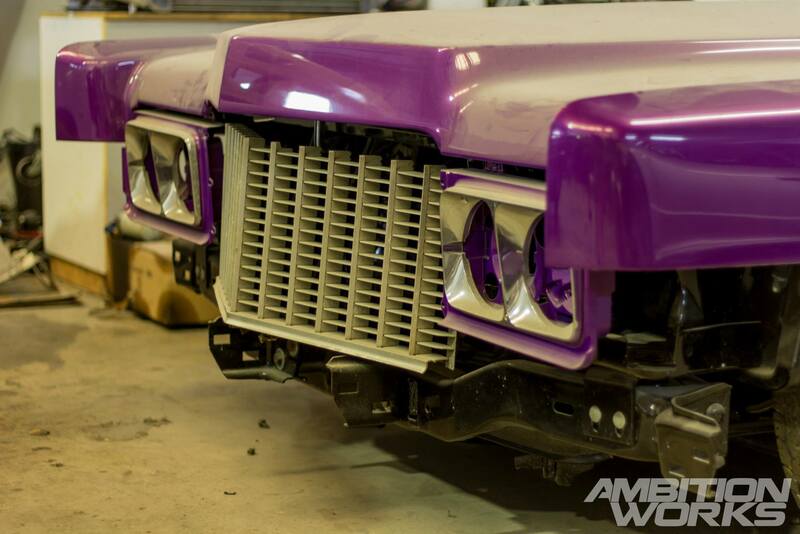 I can’t wait to see what it looks like when the front bumper is finished and fitted. Hayden was hanging around on the day also, he drove this clean and tidy S14 to the garage. This would have had to been the most road legal car present on the day. Pre-facelift S14s seem to be underrated a little bit, the ugly duckling of the Silvias. However this was an exceptional example of that underated ugly duckling. Still running the SR20DET that the factory in Japan gave it during its birth, it is the perfect road weapon/daily driver. As you can see by now, the weather wasn’t the best giving us rain for most of the morning. With my umbrella in one hand and the camera in my other I proceed with my photoshoot. I just love what water can do to the look of a car, running off the roof to the ground below. Sure it’s a pain shooting in the rain, but it spices things up a bit and creates more of a challenge when tackling numerous amounts of cars in a small space. Hidden over the other side of the workshop was this creamed up Laurel, the only one of its kind that day. It looked to be a spare drift car. It had all the goodies on the inside, even though rust was creeping on the outside. 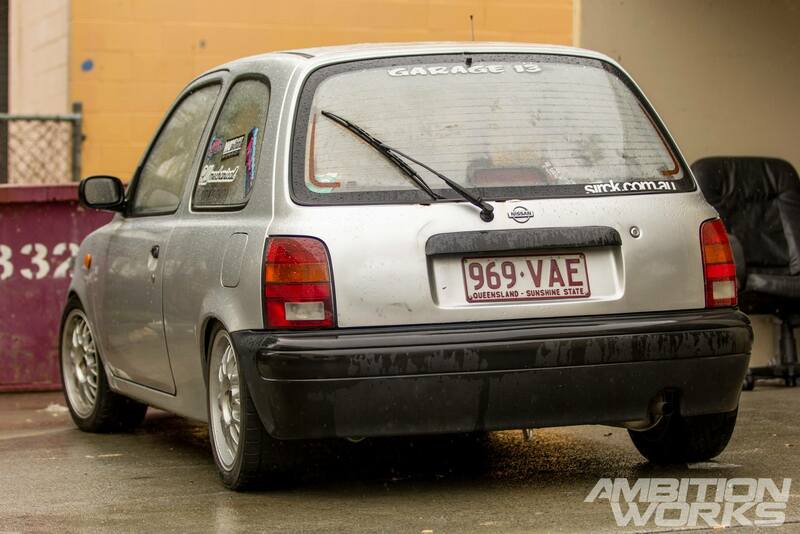 Usually a little March/Micra would just pass me by without a second thought, however this one caught my attention. It’s incredible what a nice set of wheels and a little drop can do to a fairly standard looking car. Hiding at the very rear of the garage was this purple monster of an automobile. Still in construction by the looks of it and very dusty. I see a potential summer cruiser in the works here by the guys at Garage 13. 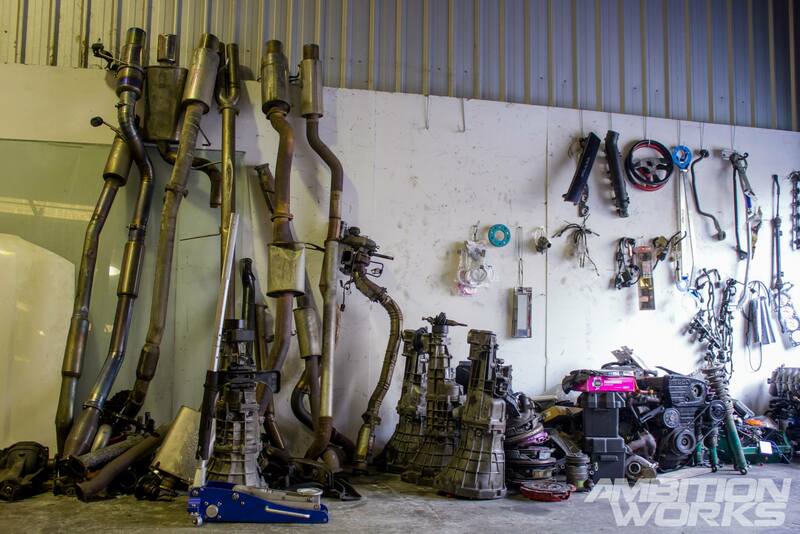 Where there wasn’t a car, there was car parts. Anything and everything you could think of. Walls lined with exhausts and gearboxes, rooms filled with seats and lights, tires stacked on tires. An automotive heaven really is what you would call this place. A few of the cars inside were in hibernation and wouldn’t come out of there warm coat of dust. This S15 looked to have had a hard crash and was being stripped of its life. Aren’t donors just the best. A maze. I think this is the best way to describe it. 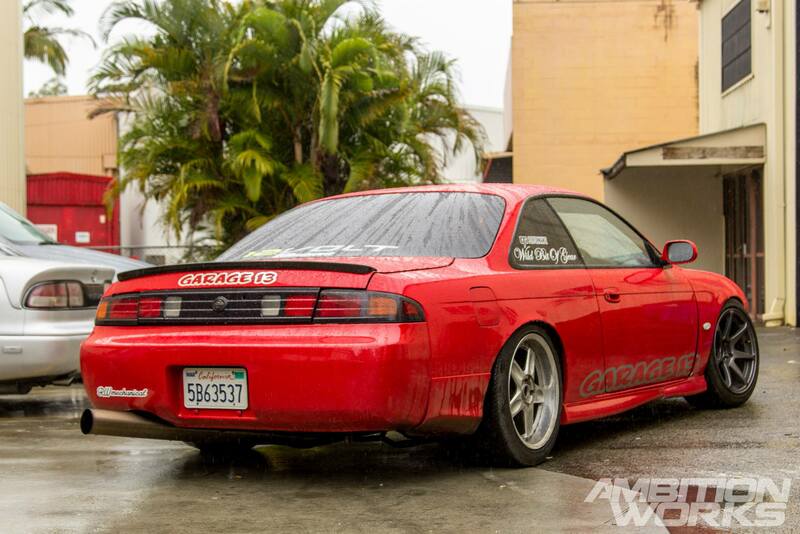 A 180SX fitted with type X tail lights and garnish looks ten times better than normal 180SX lights. I’m not even sure why to be totally honest. The rain started to slow down as the day progressed, which was good for my camera as it felt like it was practically swimming in water. A few of the cars had sparkly paint coated all over their bodies, but with the average weather and zero rays of sun it was hard to capture the real look of the paint. 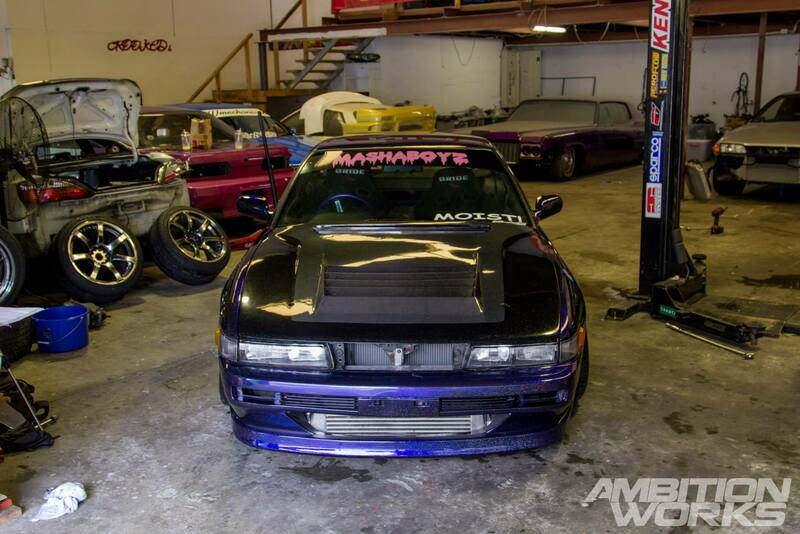 The distinctively square body lines of the factory S13 makes it hard to add anything that doesn’t go with that theme. 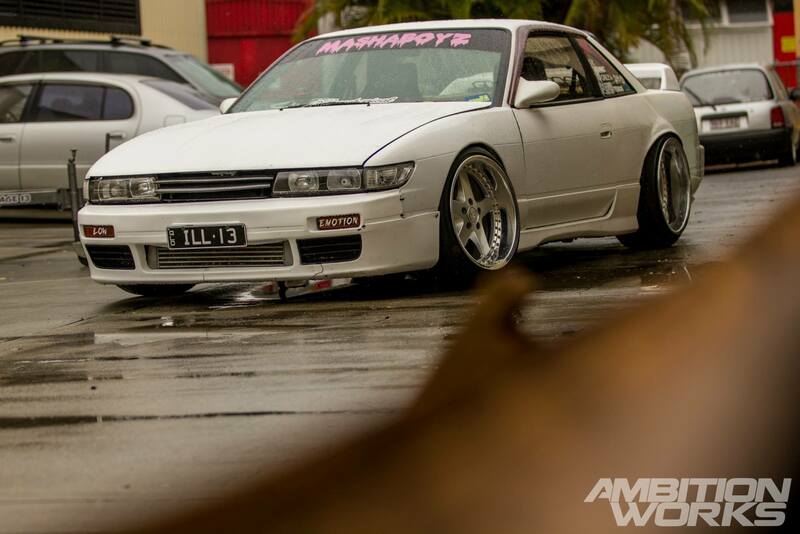 But I think here we have an example of how curved lines can add to the look of an overly square S13. 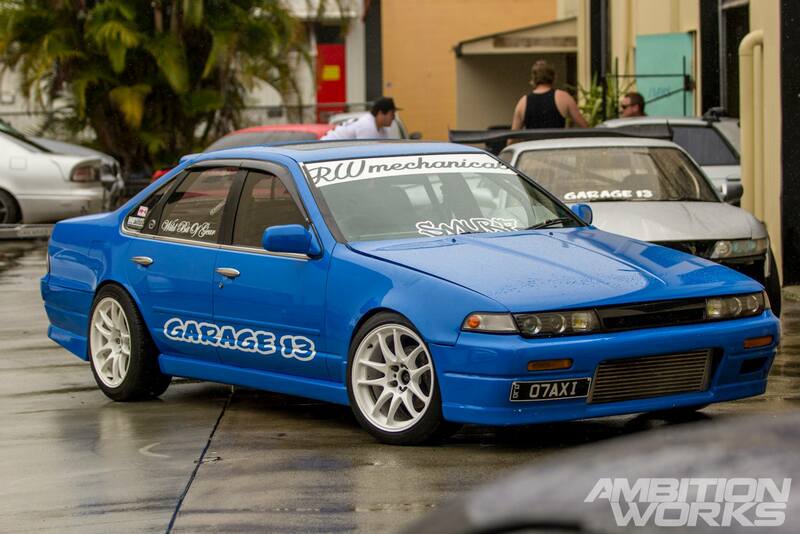 Another awesome Silvia present was this RB25DET powered S14, another pre-facelift S14 that’s not an ugly duckling. The 4” stainless exhaust really puts out a sound where people would say – “you had to be there mate”. Audio just wouldn’t cut it. It rolls around on CST Hyper Zero wheels and HKS coilovers. Although it’s the little details that get me going. A love heart tapped caringly onto the light to show home much he loves the person in front when the cars are door by door trading paint at the race track. Here lies the front of the Odvia with heavy modifications to line things up within millimetres. 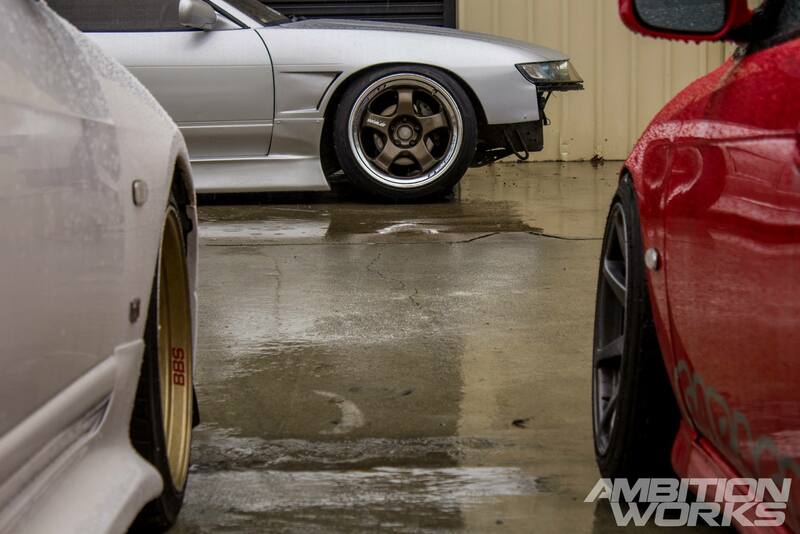 Stance or Function? 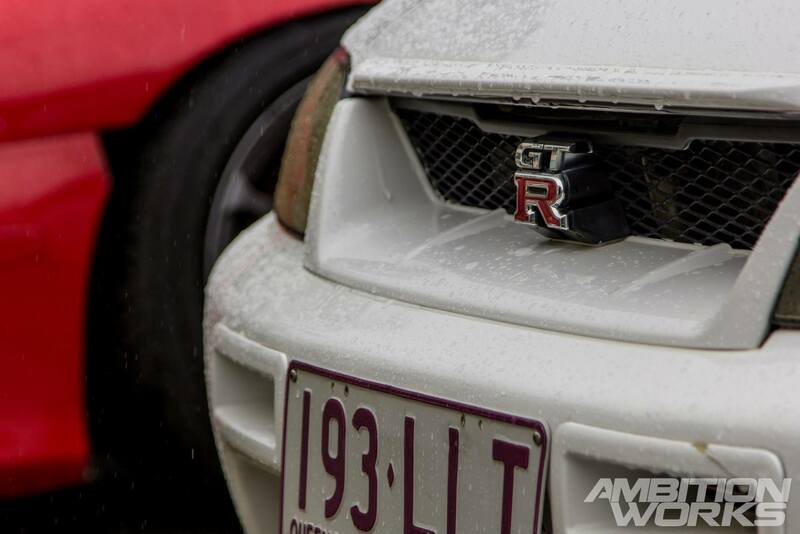 The never ending battle between the automotive scene. 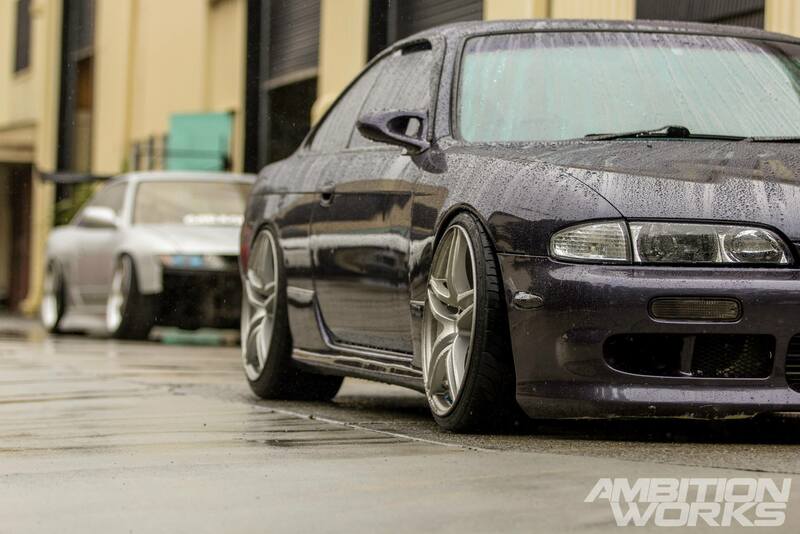 Among all the Silvias and drift cars was a lonely GTR sitting on a set of bronze BBS wheels. 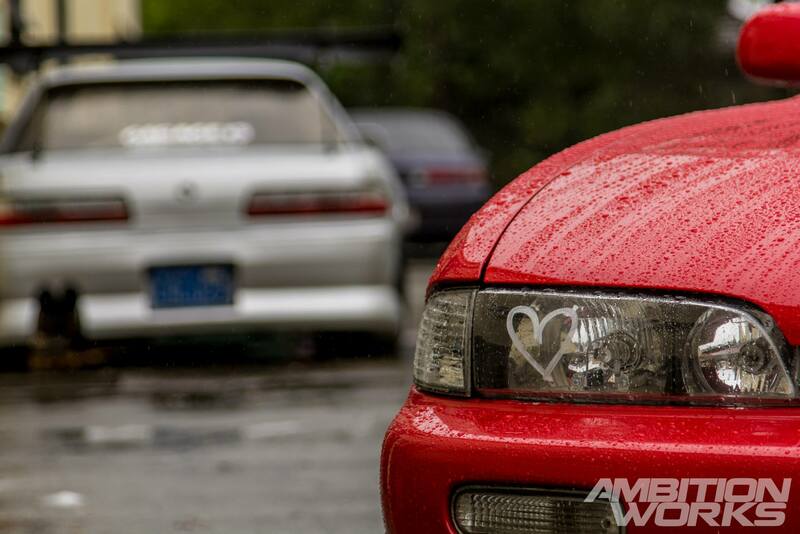 The R33, the S14PFL of the Silvias and the Boat of all Nissans. There is so much negativity towards some cars for very little reason, but I guess you can’t please everyone. The factory RB26DETT engine would certainly be enough to keep me going for a long time. 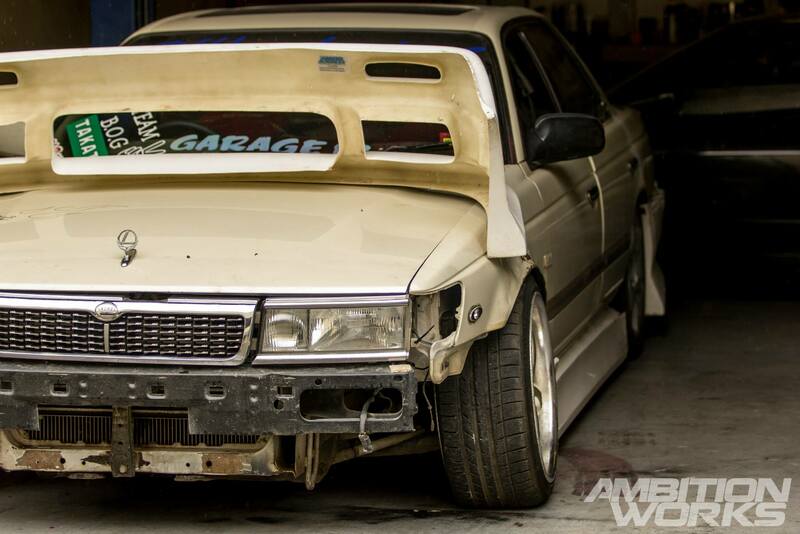 It’s a car that needs little to no modifications to easily look the part in any situation. On the left is another one of the many Silvias photoready, owned and loved by Zac. 1.5JZ turbo powerplant of an engine. Half of the wheel hubs are even cut away and lined with safety rubber. It makes for good viewing of all the suspension components and creates easy access. It’s amazing how many cars they could fit into their garage, I must admit they were squished in there but these boys had this down to a fine art. 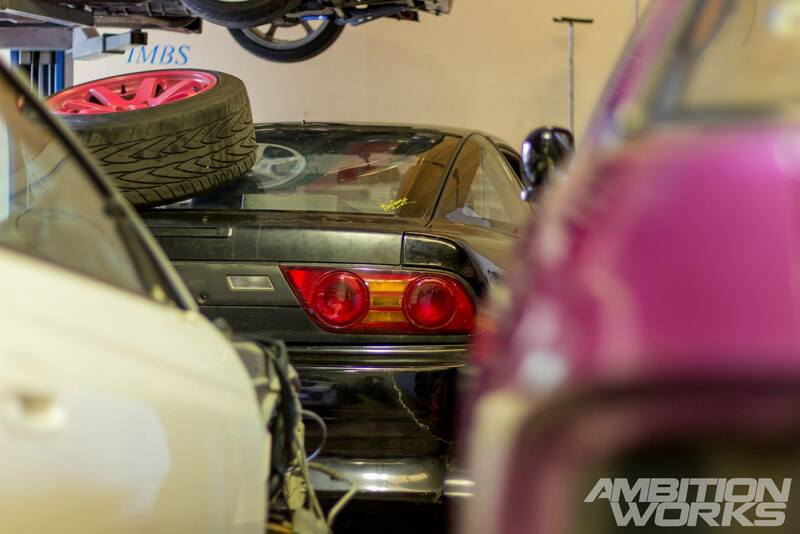 I really hope this is what Japanese garages look like and feel like. The atmosphere here was great, a group of mates all into the same thing with a passion. If you ever wanted to get a car out at the very back, a lot of maneuvering of cars would need to take place. But hey, that’s all part of the fun right? Although the garage was filled mainly with Silvias, there were a few black sheep lying around. 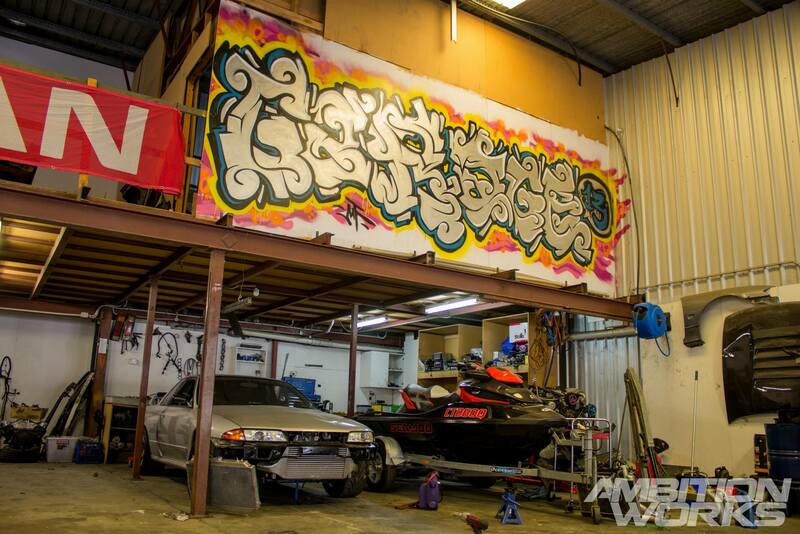 This backyard styled R32 looks like something you might find in West Auckland. 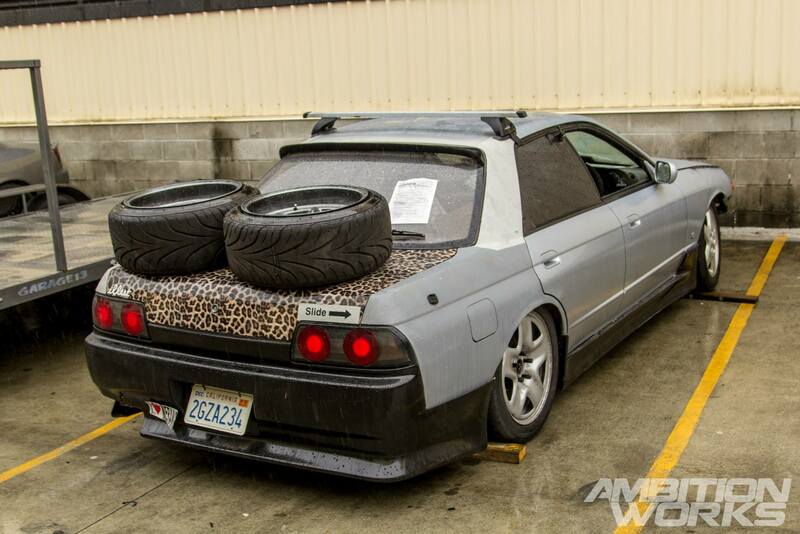 I must say I like the leopard print on the rear boot. Now if only the whole car was styled like that. 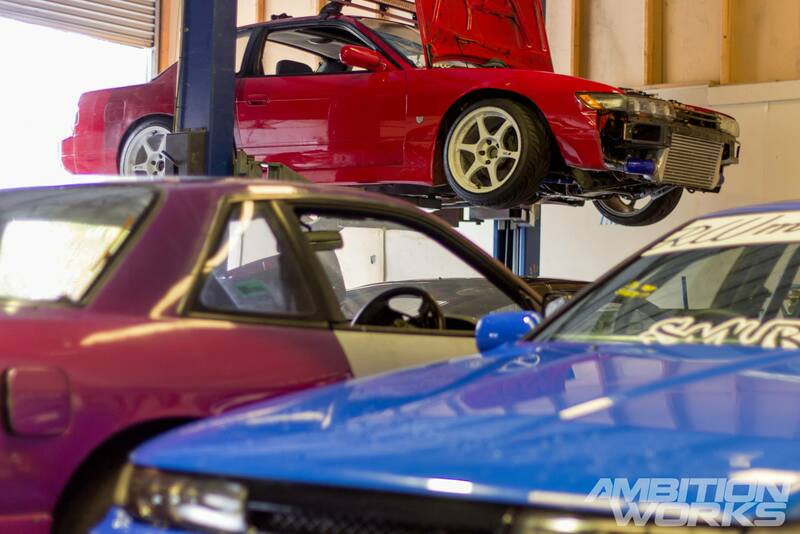 Up on the hoist sat a red S13 with some white wheels. This colour combo never fails to impress me. If you look closely at the top of the photo you can see the owner has added a light bar spanning the whole length of the car. I wonder what that could be used for? This blue Cefire was another one of the notable Garage 13 cars hiding in the shop. Boasting 380HP on a RB25DET running HKS 264 cams. I’m still wondering how it’s so tidy for a drift car with that much power, obviously SMURF’s owner has skill on the track. It’s sitting on Work Emotion cr-kais wheels in white with HDS coilovers and GK Tech adjustable arms. The blue paint goes just as well with white wheels as the red paint does on the previous S13 sitting on the hoist. 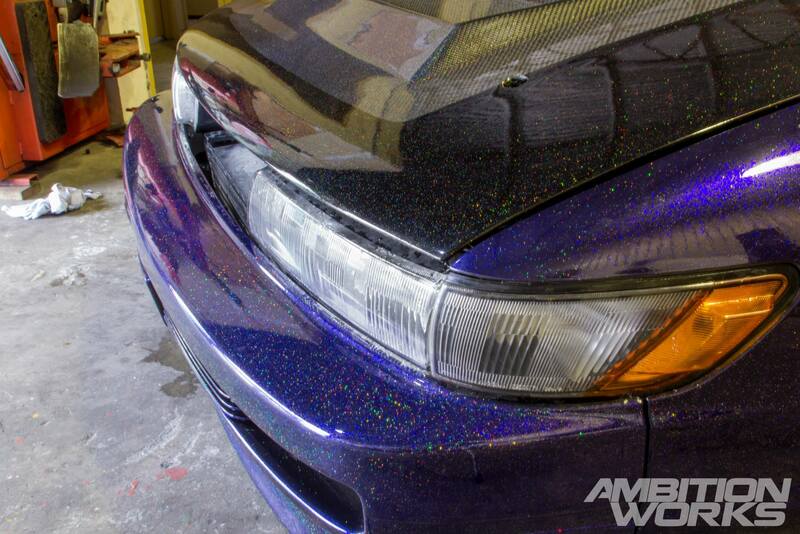 Last but not least, Tye’s sparkle fest of a Silvia was sitting pretty in the garage. This thing had every colour you could think of coming out of the paint. Unfortunately for us the sun gods granted no sun that morning so the glitter specs didn’t show up as well as they could have. With the clock hitting noon, my time was up at Garage 13 and it was time to move on to the next location. Thanks for the hospitality Garage 13 and look out for a few features of these cars in the near future everyone. It’s times like these when I have to check reality and pinch myself, travelling from little ol’ NZ to visit automotive garages in another country is an achievement in itself. Next stop Brisbane! Such a rad bunch of dudes at G13. Bring on Matsuri with the crew!